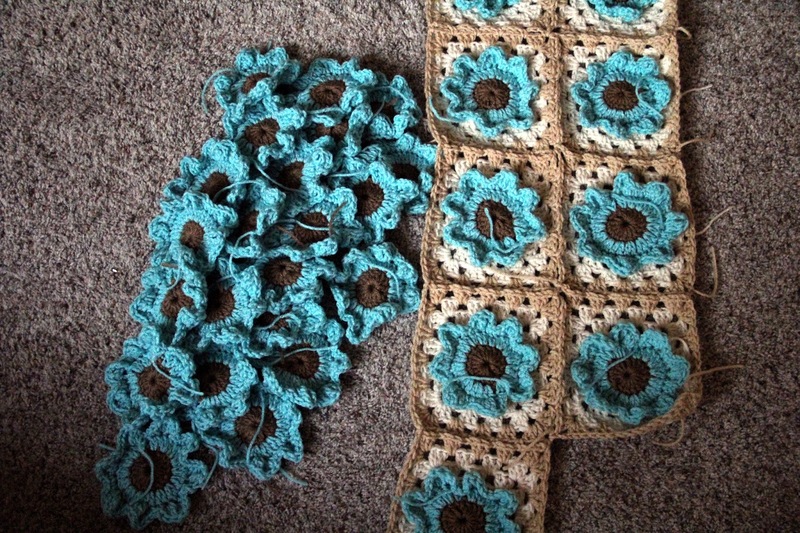 I finished the granny ripple this weekend and started another big flower blanket. 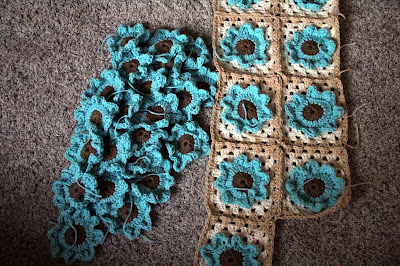 You can see the first big flower blanket here.. 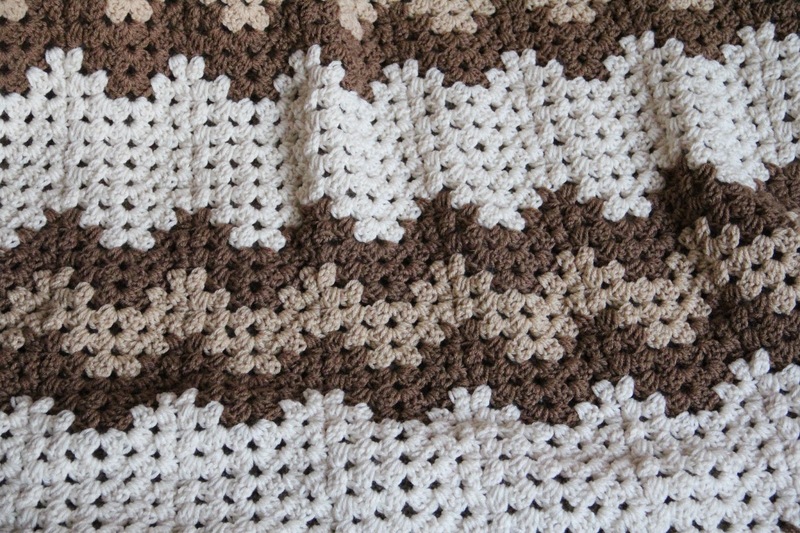 These granny ripples work up pretty quickly . 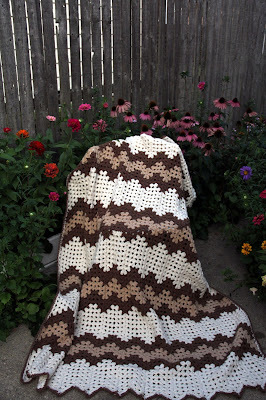 Here is the first granny ripple I made .. 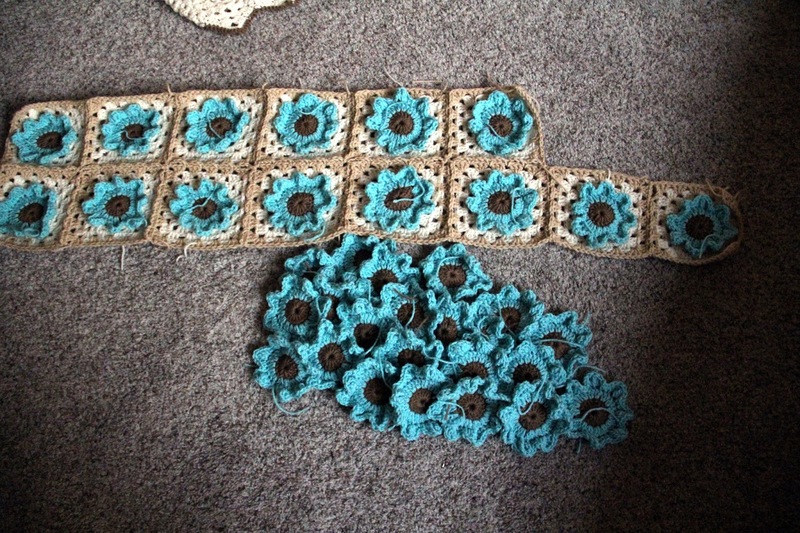 I changed the pattern up on this big flower blanket , from a 4 stitch granny square to the normal 3 and left out all the chains except in the corners I did 2 chains. It makes it not so loose.. 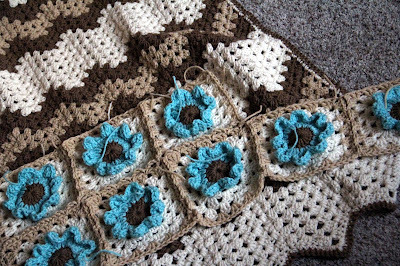 I am doing the join as you go and it is going pretty fast. I have a bunch more flowers to be put into squares..All the yarn I am using is red heart yarn.. Thanks for stopping by and your nice comments ! Hope the rest of your week is great ! I love the granny ripple! My gosh, you are fast!!! And I adore the flowers! I am going to have to try your method. 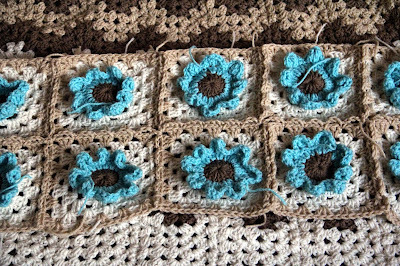 I am making the Maybelle flower squares, and I love them, but I don't want the next one so loose! Very pretty! I love the colors you used. Granny Ripple is so pretty!! 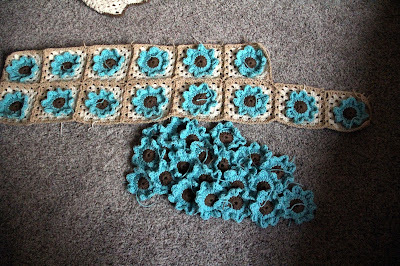 I do like the colors you are using for the flowers. So pretty! I really like the subtle colour combo. 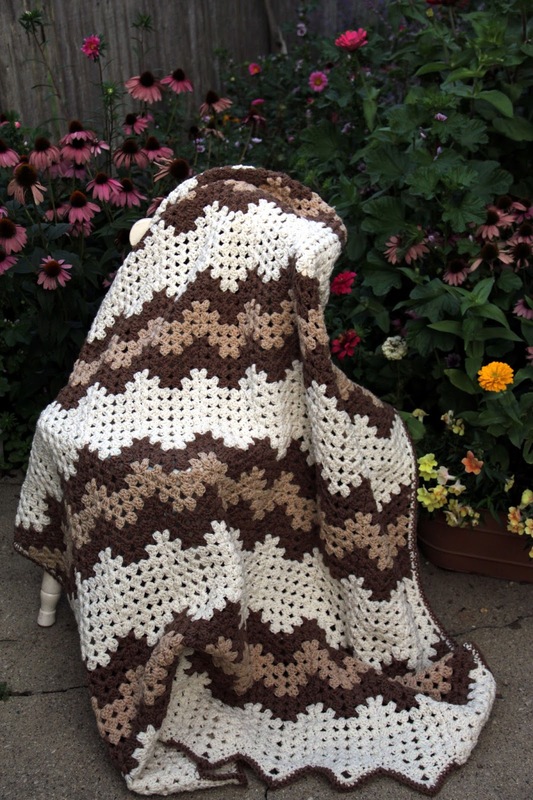 The first afghan I crocheted was a kit my parents bought for me in the summer of 1976 when I was 10. I had learned to crochet while camping and my parents surprised me with a brown, orange and tan granny ripple kit project. 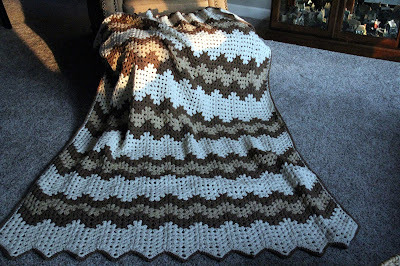 I completed it over the winter and we enjoyed it for many years. I never stopped crocheting from that point on. Nice finish, Priscilla...nice start on the other two. 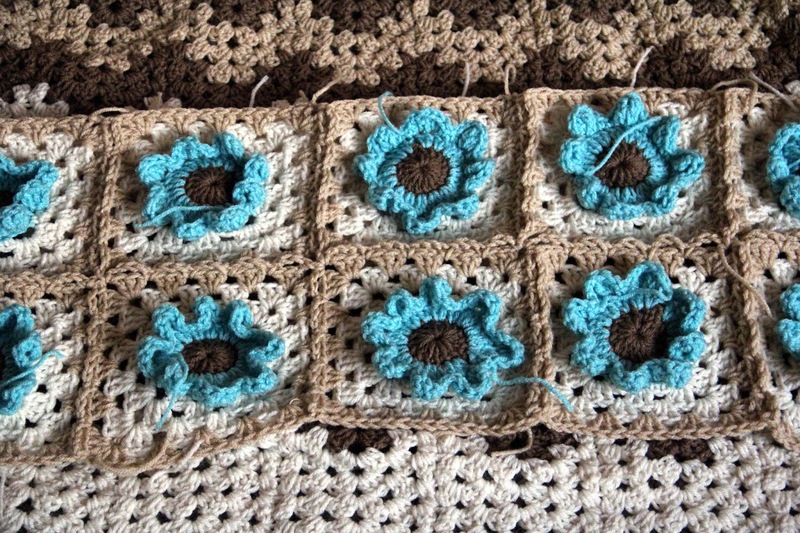 Such pretty squares. Great job Priscilla. 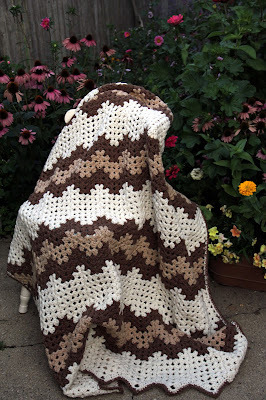 I love the granny ripple! You accomplish so much. Never do you idle hands. Thanks for sharing with SYC. 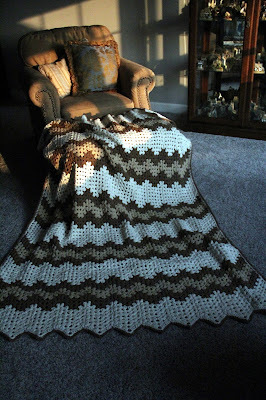 Beautiful work!! Love the colors!! Did you ever try to automate your free bitcoin claims by utilizing a BITCOIN FAUCET ROTATOR? 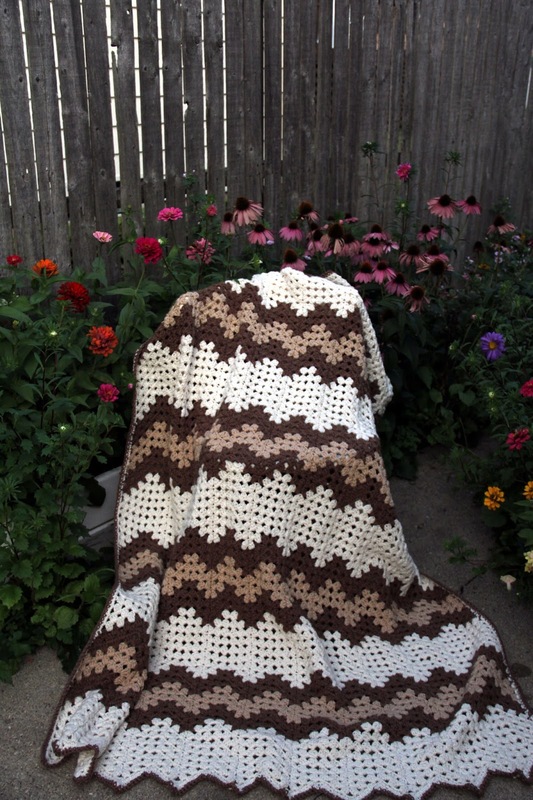 I'm Back ...Gardening and A New Blanket !